Just $99! 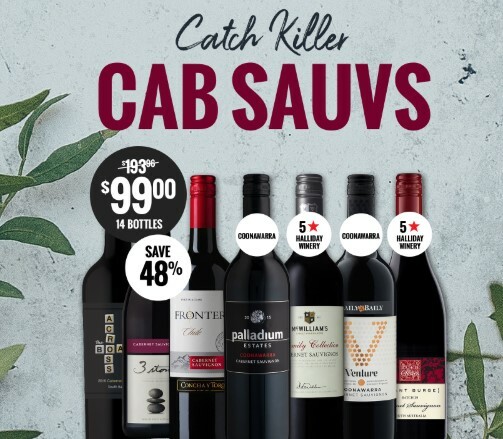 Catch 14 Killer Cab Sauvs (+ FREE DELIVERY) for a Steal Now! 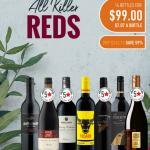 Your favourite All Killer cases are back – and this one’s for the Cab Sauv lovers! 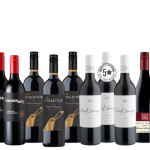 If you’re passionate about this varietal (and we know a whole heap of you are!) 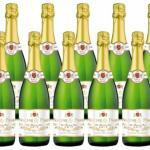 then you’ll know it’s just as delicious in the spring sunshine as it is on chill winter nights rugged up on the couch. It makes a perfect match for long spring and summer afternoons spent in the sunshine, enjoying all your meaty BBQ faves! 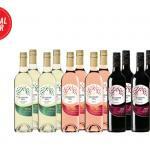 The Best Inside Deals On Wine – No Fuss, Delivered To Your Door.